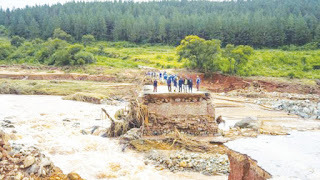 MASVINGO – The devastating effects of tropical Cyclone Idai has left four people dead in Masvingo while 2 868 households were affected in all of the province’s seven districts. Some 289 of the affected were left homeless while the number of injured is not specified. Bikita District was the worst affected with four deaths from there. These are two male adults and two male children. Bikita also had the highest number of affected households at 2 106 followed by Gutu which has 417. Bikita District Administrator (DA) Bernard Hadzirambwi confirmed the figures to The Mirror. Most of the affected households have collapsed houses or grain and other food stuff damaged by the winds and rains. There are hundreds of houses that collapsed in the rural areas. A decomposing corpse was found near Bikita Rural Clinic this Tuesday. This was confirmed by the Provincial Information Officer, Rodgers Irimayi. Masvingo District stood at number three with 199 households affected, Zaka had 189 affected and Chiredzi had 34. Mwenezi and Chivi districts had no households affected by the Cyclone. Assistant District Administrator for Gutu, Benedict Buddy Gwede said that the affected families were being assisted by NGOs like Heifer, Medicins Sans Frontiers, Gutu Rural District Council and Redcross. He said that there were 16 injured people in Gutu. In Zaka, it is the road network that suffered most with a number of bridges being washed away. 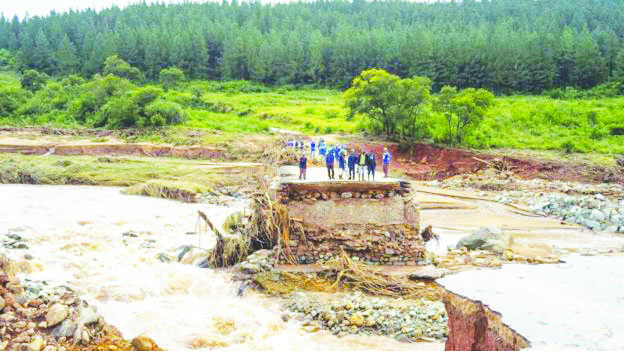 The destroyed crossing points include Chiredzi Bridge along Chida-Chiredzi Road, Pipe Drift which is along Zaka-Chiredzi Road, Mahazu Pipe Drift which is along Chida-Chiredzi Road and the Camper which is along Jerera-Dambwa Road, said Irimayi. Some rivers filled up while others got little. Mutirikwi River for example was flooding on Sunday while Mucheke, Shakashe and Popoteke received virtually no inflows.